Shiseido The Skincare Essentials Cleansing Massage Brush will enhance the effectiveness of your usual cleanser, by allowing it to get deeper into your pores. 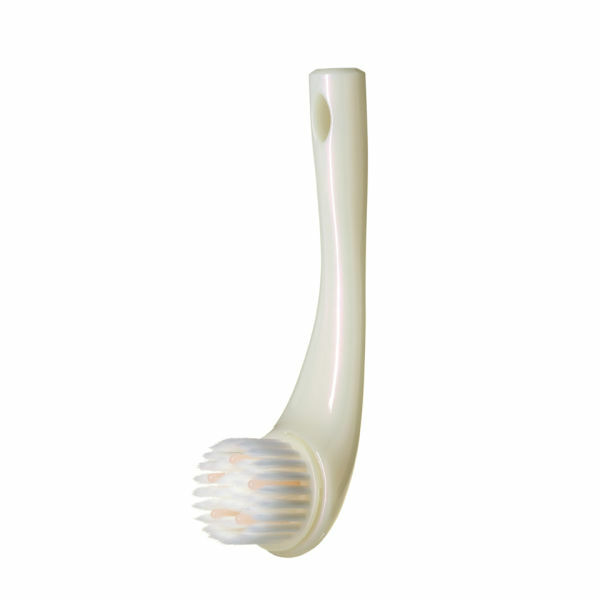 Featuring a combination of soft, tapered bristles and silicone cushioned pads, the cleansing massage brush will also gently exfoliate your skin to leave your complexion feeling smooth and soft. - L.M. Directions for Use: Use once or twice a week in conjunction with your usual skin cleanser.